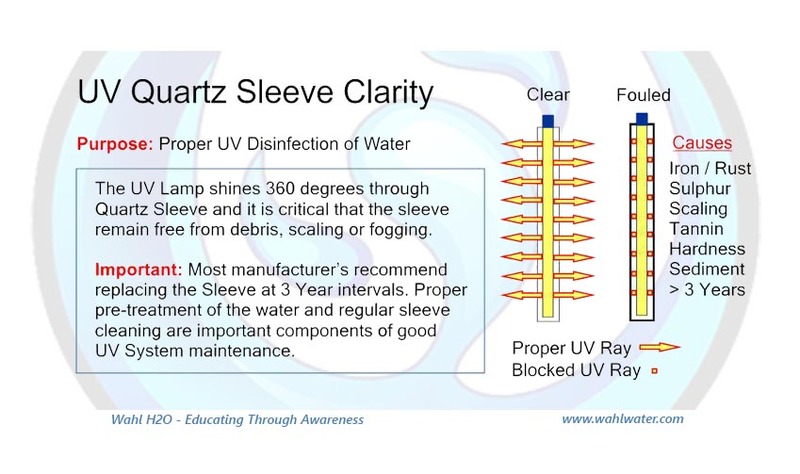 What is UV Water Disinfection? 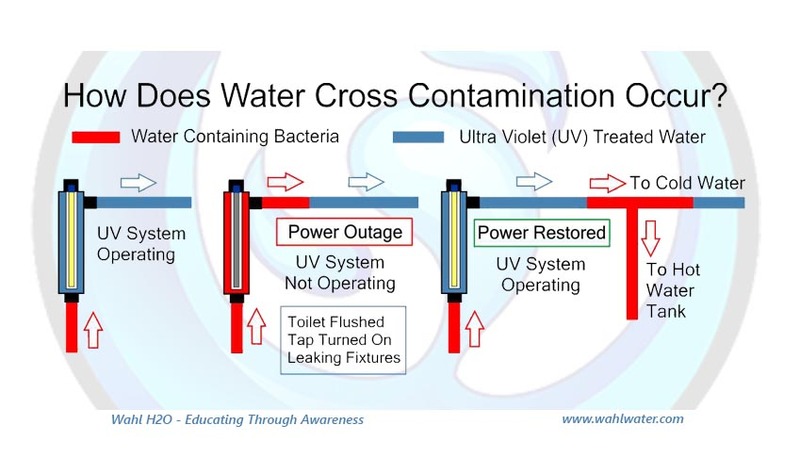 Over the last 25 years the use of Ultra Violet Disinfection Systems (UV) has become common place for keeping bacteria out of rural water supplies. 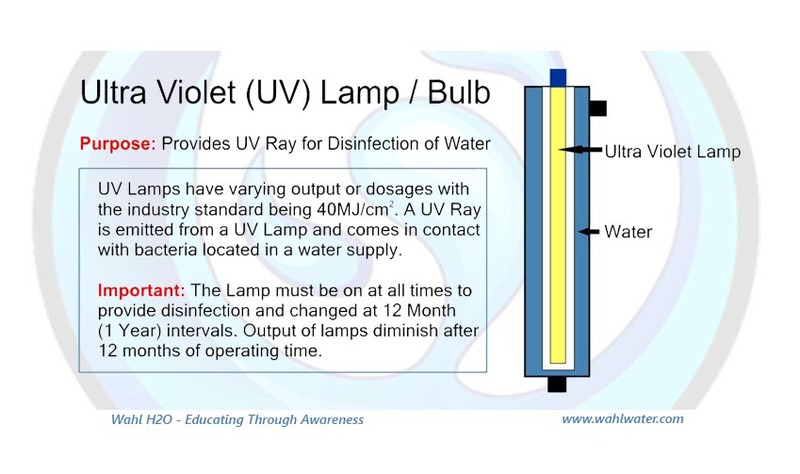 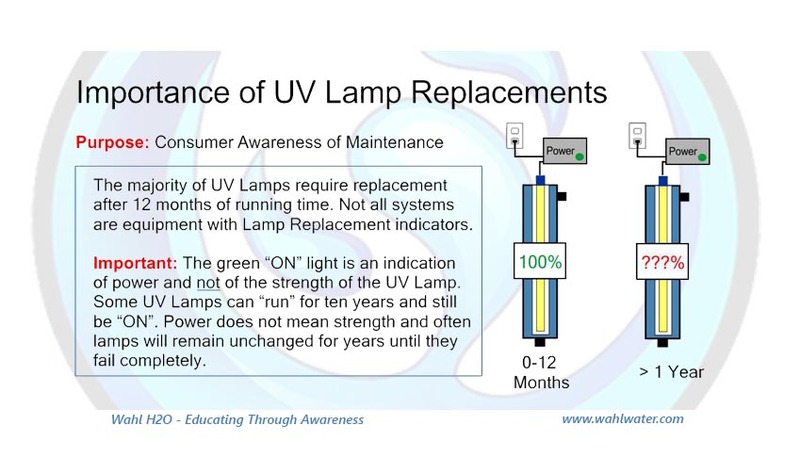 If you own a home in the country, it is very likely that a UV System (also known as Blue Light or Sterilizer) is installed either at the kitchen sink or where the water enters the house. 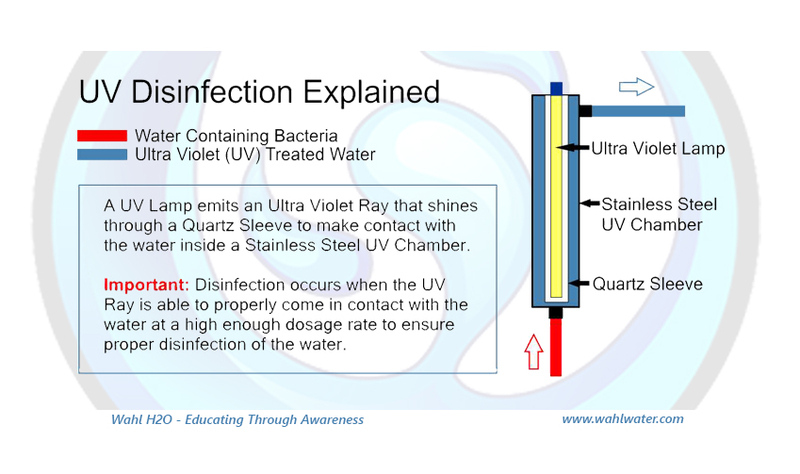 Inactivation of harmful bacteria, viruses and dangerous parasitic protozoa such as Cryptosporidium and Giardia occurs at the point of contact between UV Rays and water inside of a stainless steel chamber. 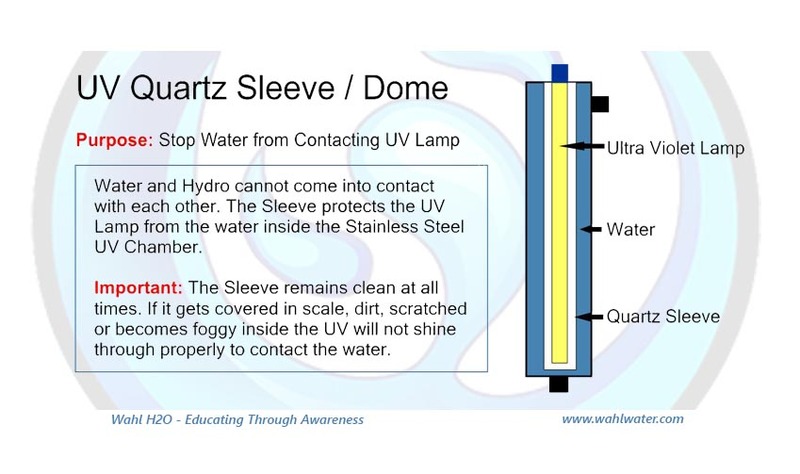 An Ultra Violet Lamp is the source of the UV Ray and radiates 360 degrees through a Quartz Sleeve which protects the lamp from coming in contact with water. 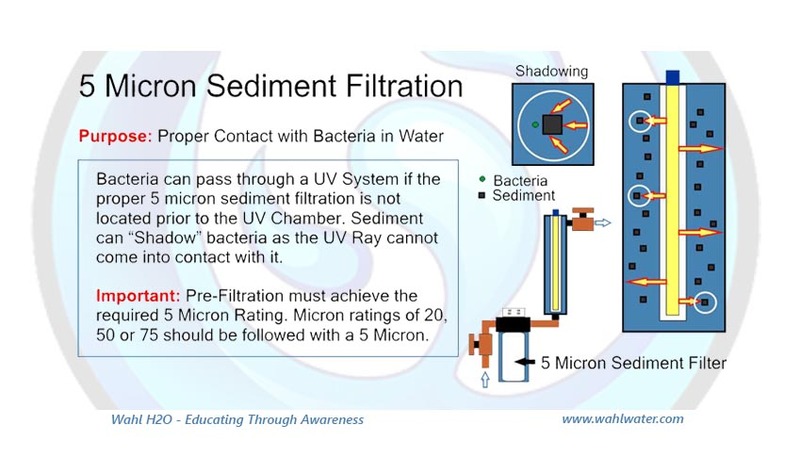 The benefit of this type of disinfection process is the instant neutralization of microorganisms preventing them from causing any harm. 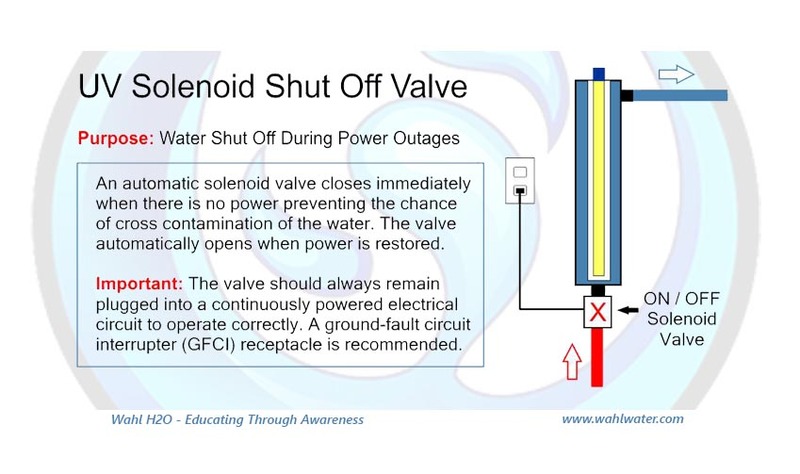 The process adds no by-products to the water.